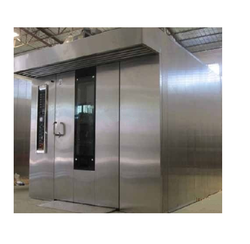 Prominent & Leading Manufacturer from Thane, we offer walk in oven. Walk-in Oven offered comes desired and developed using latest technology support and provides usage in meeting the testing needs of tolerance of different materials against heat, cold, humidity and other factors. The equipment is extensively used for achieving accurate quality inspection different types of test samples like of electric appliances, communication instruments, plastic, electronic products, chemicals and others. Some of its features include working based on microcomputer intelligent temperature controller for accurate performance, allows convenient setting of temperature; vertical forced convection support, high-performance blower motor support, comes with the option of adjusting of heating power among others.